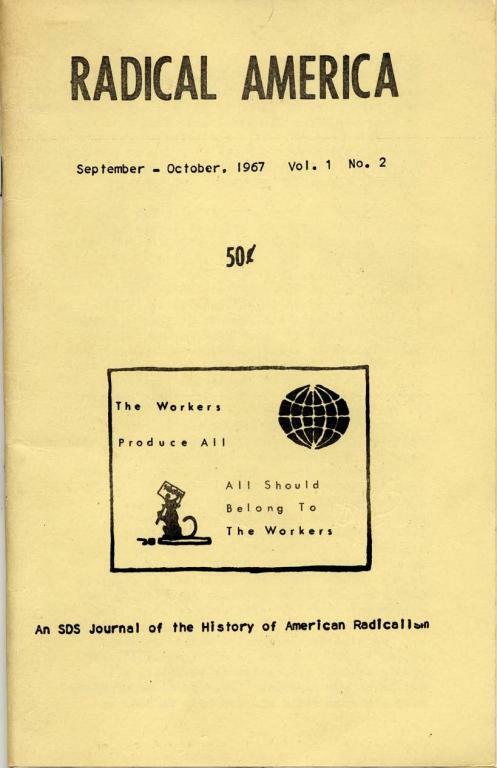 Issue 2 of the first volume of Radical America published in September-October 1967, most articles concern the Industrial Workers of the World. Hey, many thanks for this, just a quick note that the volume number should be written in two digit formats as there were more than nine volumes. And also the Radical America tag should be in the "authors/groups" box rather than the tags box. Cheers!